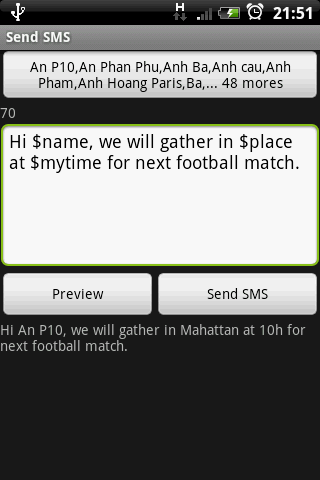 Pro SMS is designated to become "killer app" for texters and professional uses. Send SMS from a .CSV or .TXT files and can configure according to your file format, typically compose from MS Excel. Please see a sample file in Help section below. Note that SMS fee is charged by your telephone operator! Template: In the main view, you will see a list of templates. 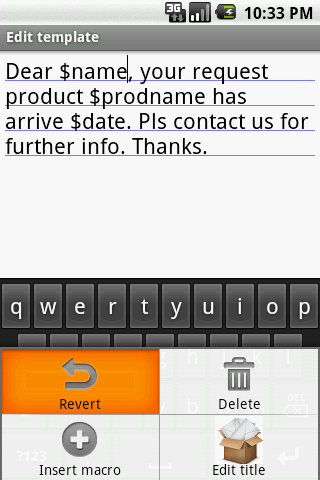 Send by template: click in a template. Add/delete/edit/edit title: focus on a template then press menu button, or press and hold a template in the list. Add macro: During edit template, please menu button to add a pre-defined macro. 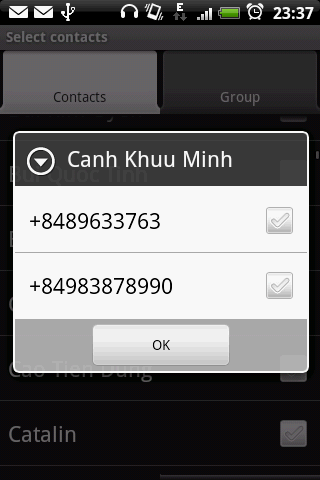 $name: Contact's name defined in your address book. 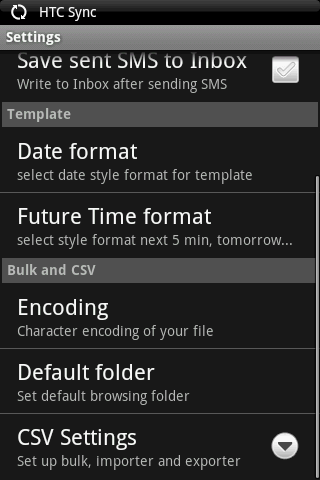 $now: time when SMS is sent (ex. 20 Feb 2010), change it format in settings. Please email me or comment on this page if you find any useful macro. User-defined macro: A macro start with $ sign and end by any of following sign " ?,.;". 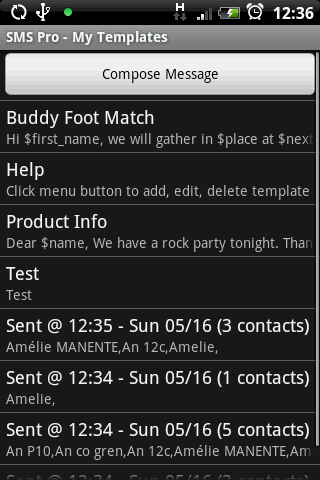 When you please "send SMS" button, BulkSMS will ask you the value of a user defined macro. Quote: set to empty ""
Save sent SMS to Inbox: If you send a batch of hundreds SMS, this may help you opt-out your SMS after sending! Default CSV folder: where CSV Send command jumps in.